The above estimates assume you have traditional 8-foot ceilings. If your ceilings measure higher than 8 feet, you’ll want to increase your BTU level. If your room or space is sunny during the day, increase your BTUs by 10 percent. If your room is shaded for most of the day, decrease your BTUs by 10 percent. If more than 2 people will occupy your room or space regularly, you should add an additional 600 BTUs of cooling power for each person. If you are installing your window AC in a kitchen, increase the BTU level by 4,000. Air Leakage is also very important factor if you want to install any AC specially DC Inverter AC. any type of air leakage must be reduced to minimum level. One of the most common mistakes in selecting a room air conditioning unit is the purchase of an underpowered unit that will not properly cool the room. With the proper measurements and calculations, you will be able to determine the square footage of your room and make the wise choice for your next room AC. Split or window or Inverter : Another deciding factor is whether you want a window AC or a split model or an Inverter AC. Though window units are cheaper and easy to install, split ACs are quieter, aesthetically more pleasing and provide better air distribution.Energy efficiency: Today, with rising mercury levels and increasing electricity tariffs, an energy efficient model of air conditioner is a must-buy like Inverter AC (also called as DC Inverter AC) . Another advantage of DC Inverter AC is that it can easily run on Inverter/UPS and Solar system. So now you can enjoy AC in absence of electricity as well. Product Price: Price is another important factor to consider as more features and higher star ratings account for a higher price tag. Windows AC are Cheap, Split AC are little bit costly while DC Inverter AC are more expensive , An Inverter AC is usually 30% higher than a 5-Star rated Split AC. Air Quality: Indoor air quality is very important while deploying ACs at home; hence AC with a good filter is extremely important to improve indoor air quality. A good filter not only ensures clean air but also enhances the cooling performance and energy efficiency of AC by preventing the choking of evaporator coil due to dust. Installation requirements: The window AC is a compact unit designed to be attached to the windows. 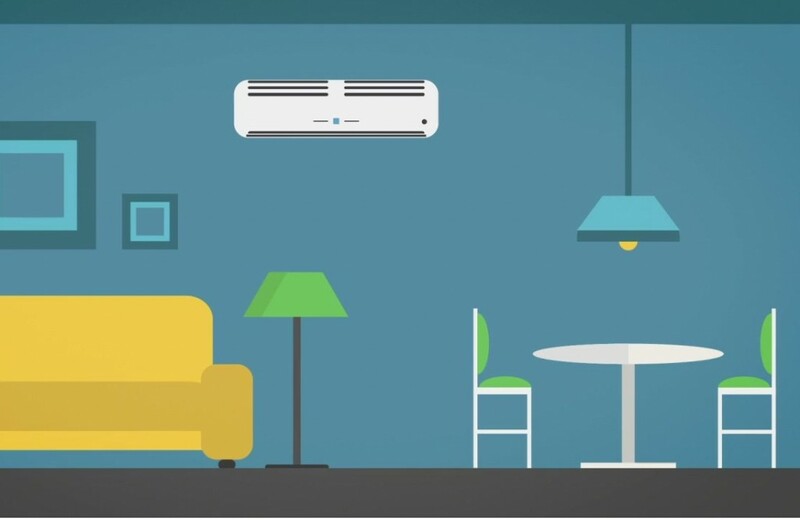 A split AC has a compressor unit outside the house and one indoor unit inside the room, specifically designed for better flow of air. Installation should always be done from an authorised service center. The performance parameter of AC depends on a good or bad installation. Maintenance & Cleaning: ACs are like cars, and they need regular servicing to remain in best condition and optimum performance. Once installed, there should be regular servicing, preferably quarterly. Cooling speed: The AC should have an adjustable thermostat (temperature setting) and at least two cooling speeds, and a minimum of two fan speeds as you may want to use variable speeds for different times of the day. An energy efficient setting will be a beneficial addition as it helps in saving energy while providing optimum cooling. After sales services: After sales services and other add-on features like warranty would certainly be a plus for your purchase. Look for a service oriented brand which has the capabilities and good network to meet the servicing need of your product. Other important features: Most air-conditioning units come with a dehumidification function, which reduces humidity in the air, for increased cooling and more comfort. Also it is important to check the noise levels of the model, which may range from 19 – 60 decibels. The sleep mode function in an AC is useful as it automatically adjusts the temperature during the night. Your unit should also have an auto restart facility to help restore the last setting after a power break. Multipurpose: Nowadays, AC is not just used for cooling, but as a multi seasonal product which can also be used in winters for heating. These Hot & Cold Air Conditioners also save up to 35% more energy than heaters. ACs are also the best cooling devices for Humid weather. Special cooling functions are required for optimum cooling and maximum comfort during monsoons. So look for an AC with features which can control humidity and give more comfort in Monsoons. Exposure to Heat & Sunlight: If your room is closer to kitchen or the wall of your room is directly exposed to the sun , you’ll need an air conditioner with higher cooling capacity. Room Size: The size/capacity of the AC should be as per the size of your room. If it is bigger it will not be able to provide proper dehumidification and the smaller one will cost you more in terms of energy consumption. Brand: You should carefully choose an air conditioner brand which fulfills your need of maximum energy saving through highest EER, best cooling performance and extensive after sales service. The air conditioner you choose should have functions which provide faster cooling in summers, optimum comfort in monsoon and also protects from disease causing virus, allergens and insects like Mosquitoes, etc. Weather conditions: While choosing an AC, one should look for air conditioners that can work efficiently even in extreme weather conditions of Pakistan specially in summers. Conclusion : In recent time it is important to buy an AC with energy efficiency to reduce electricity bill , So DC Inverter AC of any reliable Brand like Acson , Gree or Mitsubishi is good choice if you can manage air leakage. Note : information provided for the purpose of awareness to consumer and carries no liability of any part.